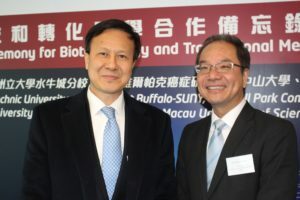 The Pearl Bay’s premier biotechnology minds have struck an accord for finessing regional and international collaboration for anti-cancer and other life saving drugs. 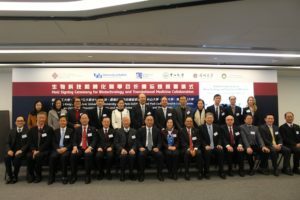 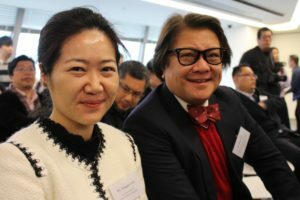 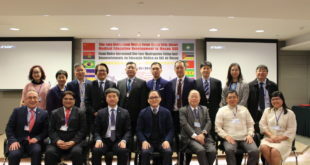 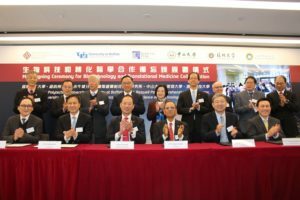 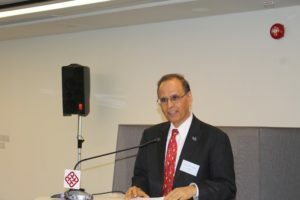 At an MOU signing at Hong Kong Poly University, professors from Guangzhou, Shenzhen, Hong Kong and Macao joined up with New York State professors to further cement projects in a unique scientific exchange eco-system for advancing biotechnology globally. 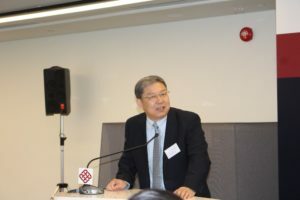 Vice President (Research Development), Hong Kong Polytechnic University. 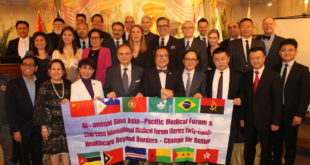 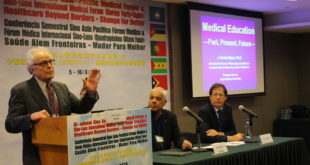 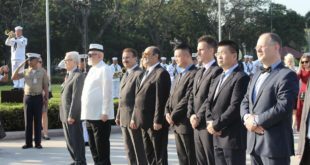 International collaborators included Professor Satish Tripathi, President of University at Buffalo, The State University of New York, and Professor Yeong Christopher Choi, Assistant Professor of Oncology, Roswell Park Comprehensive Cancer Center, U.S.A. 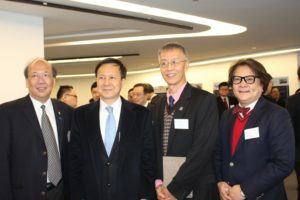 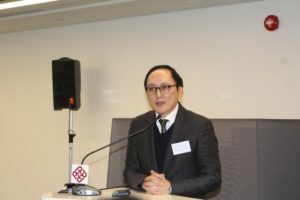 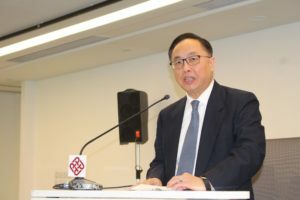 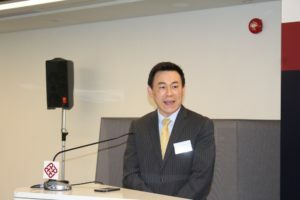 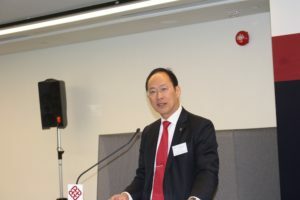 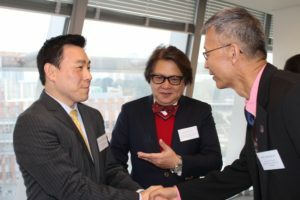 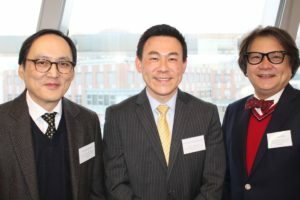 The morning was graced by Nicholas W. Yang, Secretary for Innovation and Technology for the Government of Hong Kong SAR.